Club Penguin Cheats by Mimo777 Club Penguin Cheats by Mimo777: Club Penguin New Furniture Coming Soon! Saweet! 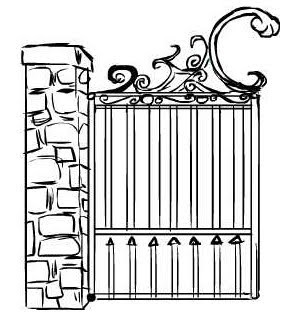 What do you think this gate could be for? It would be pretty cool if there were a new haunted house igloo, don't you think? Oh yeah, also on Friday, there will be a "submit" button in your iggy to enter it in the Igloo Decorating contest. Cool! cool i think its for a halloween party!! Good Guess, I think that your right Lol! SAWEEET! It WOULD be awesome if there was a haunted house igloo! Maybe even with an outside courtyard/graveyard! all right mimo it look cool and its going to be great for the halloween igloo! Cool Idea! Email CP with your dea and they may even use it. Good Luck! I can't wait! I'm so excited. Sweet mimo i hope theres a keep out sign that would be awesome and mimo are you entering the contest? Tha makes me EXTRA excided for my birthday! My b-day is on Friday too! Awesome Mimo, thanks for making loads of ure parties good for us English penguins,toots and webosaurs. When the halloween party starts can u do another? some of the partys you do are awesome!! ''Light Bulb Goes On''Maybe if you press up when your putting it your igloo it migght creak open then close! I agree with the party idea, Mimo i think you should have a halloween party Lol. HEY EVERYONE! HAPPYWAGON HERE! WANTED TO LET EVERYONE KNOW I CHANGED THE DATE OF MY GOING AWAY PARTY FROM SATURDAY OCTOBER 17TH, TO SUNDAY OCTOBER 18TH AT 1PST ON ICE SHELF AT THE DOCK! HOPE TO SEE EVERYONE THERE! LET'S TRY TO FILL UP THE DOCK WITH WAGONITES(Happywagon Fans!) :) THIS WILL BE THE LAST TIME I WILL EVER PUBLICLY GO ON CLUBPENGUIN AND WILL BE THE LAST HAPPYWAGON PARTY EVER! DONT MISS IT! cool! it will fit nicley in my garden igloo. Maybe he will! Stay tuned for more of Mimo's parties! I cant figure out how to reply to peoples comments- HELP CPG MODS! they need to put a GOOD secret item in there this time... they never do a good one anymore! You just copy the person's question and paste it! Then you answer it like I'm doing with yours! Make sure they understand what you're saying though! Awesome! Thanks for the tip! But Mimo already posted this. Mimo's a non member so he can't enter! Maybe it's used for a cemetery. 9 Icey 1 said... I dont know how to answer peoples questions help me mods! Could it be!? Is it true!? Oh my gosh! It is! Could it be..... A cematary gate!?!?! Yeah! That's so super special awesome!!! I no! That's getting old! Jel asked: Mimo are you going to enter? Thats a good idea :O Email it to CP! Mimo cant decorate his iggy since hes not a member. Just copy their question by hilighting it, right click on it and clicking copy, and then right clicking in the comment box and click paste. Their question will appear. Then skip a few lines and leave your answer with your name with (CPG Mod) next to it. Thants pretty sweet! You should make a story about all the things you would add to CP and post it on your secret site. its super easy! first highlight a persons comment(including there name) and right click and press copy, then go to the comment box and right click paste and you should see the persons comment! then hit enter on your keyboard a few times and answer there question !!! when your done it should look like this comment! I hope so. I wanna make my igloo the best igloo to win the contest! Mimo, are you entering the contest? Wouldnt it Be So Cool If Club Penguin Acctually Had There Own Haunted House With Evil Puffles And Stuff? AWESOME! A whil back, Mimo accidentaly sent a membership to himself instead of to someone else, so he became a member for 6 months. But a few months ago, that membership expired, so hes not a member anymore. I hope your right mimo. Going out of town today! See you o Monday! I doubt Mimo is going to enter the contest. I'm pretty sure that he's not a member any more. Hi Happywagon. I'm sorry to hear that ur leaving. U were such a great MOD. I will try and make it to your party. GO WAGONITES! Great minds think alike! That's what I thought too. Can one of you smart penguins out there help me? Ok, I have been trying to be a CPG MOD since I started to come to this site frequently. I answer questions all the time, but I am still not a MOD. How long will it take? Help? Write the name of the person that commented and put 'said' next to it. Then copy and paste what they wrote. Then you write what you want to say. How do i find rockhoppers key. Braceface27, all I can tell you is just try your hardest, I know you probably have been but just keep on trying. He can't he's not a member. Mimo hasnt bought CP Toys in a while, so he most likely doesnt have the viking Plush. Mimo can play the guitar from what I hear,but idk his fav song. Ive never seen any of Mimos drawings, what makes you say he draws weird things? Im sure he has art as a subject, most people do. The next Q&A is probably in a few months, since he had one a few months ago. I didn't even think about that! It could be a cementary gate! Braceface27 asked... A lot of questions. Braceface27 said...How long does it take to be a mod? It takes some time! It took me a very long time to become a Mimo Mod but then I moved house and got demoed =[ But keep trying never give up. George2719 asked... Where can I find Rockhoppers key? Good question. Go to the book room and go to the books. Go to "Rockhoppers Journal" and go to the last page...Rockhoppers key will be there. I think that getting coins on the DS is wayyyy easeir than getting then on a PC so TRANSFER YOUR COINS trust me it works! Go to up the stairs of the coffee shop and then click on the books, look for a book named "Rockhopper's Journal" and then at the last page will be the key.